Ever since Baby was diagnosed with Grade III Kidney Reflux when she was about 2 months old, my life revolves around her PEE! I have been sniffing her soiled diaper every single day for the past 22 months. Now, I have to coax her to pee in the potty. 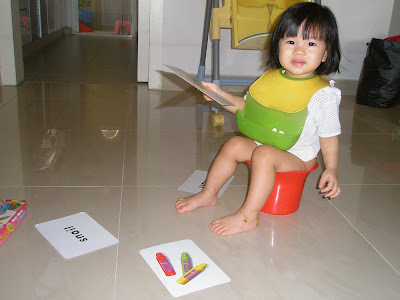 When I first started to potty train Baby, she would obediently sit on the potty to pee and poo. Now, she is regressing. Each time she shows signs of wanting to poo poo, I will bring her to the potty. But she will protest and resist pooping into the potty. I wonder why. She was alright with pooping into her potty for many months under 2-3 months back. Now she is also strongly protesting peeing in the potty. She would struggle and scream murder and cry till she almost pukes 8 out of 10 times she is brought to the potty to pee. When I have no means and energy left to handle this child, I will tai chi the chore to my helper. This is a typical scene almost everyday. Baby is breaking everyone’s back! Having said all these, Baby is bringing joy and laughter to everyone. She is really a charming little girl who will melt even the coldest of hearts. She speaks pretty well now and can reply me with logical, intelligent answers. Baby will turn 2 years old in 9 days’ time. Baby loves sitting on her potty, seriously! She prefers sitting on the potty more than her high chair, I kid you not. While she’s seated on her throne, I strike when the iron is hot. I spoon feed her whatever I have to feed her with… and keep her busy with flash cards, books, board puzzles, toys and what nots. And I am proud to say that Baby can do her poopie business in her throne everyday – must be around the same time everyday, which is right after her breakfast. Many times we do it together in the bathroom, muahahahaha! Then bathe together 😀 Good mother-daughter bonding! Ooops…. there was a wee wee accident in the wee hours of the morning today. I was deep in my sleep and having a dream when I heard a little girl saying “mummy, my pants are wet…… mummy, my pants are wet…..mummy….” . I thought I was dreaming but when I opened my eyes, I saw Alycia at the foot of my bed and she told me she had peed in her pants. I then brought her to the bathroom to have her washed up and then changed her. I had forgotten to set my alarm clock to 3am last night. Also, Alycia had secretly drank a lot of water from her water tumbler just before going to bed last night. I had told her not to drink water as she had just finished 5 ounces of milk but she didn’t listen and I think she finished off the remaining water in the tumbler and she even went downstairs to have the tumbler refilled with water. After this episode, I think Alycia won’t dare to drink any water just before going to bed. Fortunately the pee did not get into the bedsheet, thanks to the plastic mat I placed under her but her clothes and blankie were drenched with pee. Anyway, after washing Alycia up and changed her into a new set of jammies, I changed Baby C’s diaper, nursed her and after all that jazz, I couldn’t get back to sleep. So I went downstairs and worked on my computer and managed to grab several opps too. Minutes later, I heard Baby C’s cries on the baby monitor. So I went up to my bedroom and nursed her to sleep again. 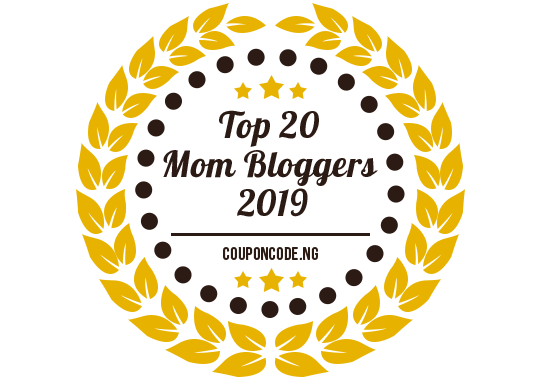 After that, I continued working on my PC and then went out for a good half an hour jog, came back and did 50 crunches on my fitball. That’s the benefit of waking up early. I get to accomplish many things before my kids are up. Alycia is only on diapers at night for the past 1 year or so. During the day when she naps, she is diaperless and she can hold her bladder for 2 hours and even when she wakes up, she doesn’t go to the loo immediately. She can hold her bladder for at least 3-4 hours. However, this lazy mummy is just too lazy to wake her up in the wee hours of the morning to bring her to the bathroom to pee. Wish me luck and hopefully there will be no unwanted pee accidents. Sherilyn has been off diapers for about one month already when we go out now. She would normally tell my maid or me when she wants to pee but yesterday, I think she must have enjoyed her food so much that she had totally forgotten to inform us and she peed twice in her pants – once when we were having lunch at Imbi Palace and the second time when we were having dinner at Zipangu Japanese Restaurant at Shangri La Hotel. She has been very good in telling us whenever she wants to pee or poo but yesterday was an exception. It has been more than 2 weeks since Alycia has been off diapers during her daytime nap and so far, she’s been good and has not wet the mattress. Yesterday was the first accident. I normally wake her up 1 hour into her nap to bring her to the potty that’s placed next to the mattress on the floor. However, yesterday I got a shock when I touched the mattress and it was soaked! And she had slept out of the plastic mat placed beneath her. The mattress was totally drenched with her pee and since the mattress has been soiled with pee and puke several times already, I threw the mattress away. Today, she has to sleep on my mil’s Japanese Tatami mat and Sherilyn has to sleep on the baby-size mattress from the playpen. I better go and check Alycia and bring her to the potty now. I have no more spare mattresses! As I was in a good mood this afternoon, I decided to try letting Alycia go diaperless during her afternoon nap. After the naptime story, I asked Alycia if she’d like to sleep without her diaper today. To my surprise, Alycia nodded and said “I don’t want to wear diaper”. I then praised her and put her potty next to the mattress on the floor and told her that if she wants to wee wee, she has to do it on her potty. I also placed a piece of water-proof paper on top of the water-proof plastic mat, just in case of accidents. An hour later, I woke Alycia up and brought her to pee in her potty. She wasn’t cranky at all but was smiling proudly as I gave her lots of praises, hugs and kisses. An hour later again, as she was still deep in her sleep, I whispered this into her ear “baby, you are not wearing diaper, please don’t wee wee in your pants ok?” to which Alycia nodded with her eyes closed. She woke up half an hour later with her pants still dry! I am so proud of her. Hopefully Alycia will be diaperless too at night real soon. That can save me so much money on her expensive XXL Mamy Poko diapers and XXL Drypers diapers.